Add a Rewards tab to your Facebook page, so your Facebook fans can join your loyalty program, check their points balance & claim rewards. We use a Facebook Add-On called Woobox to create a Facebook Tab. 3. Make sure that you are on the correct Facebook Business page. Note: If you need to change select the two arrows button and then choose your correct business page. Copy your Facebook Tab link. Please Note: This example uses information specific to our Demo Store, please use your own Facebook Tab link from your own Collect Loyalty Customer Portal. 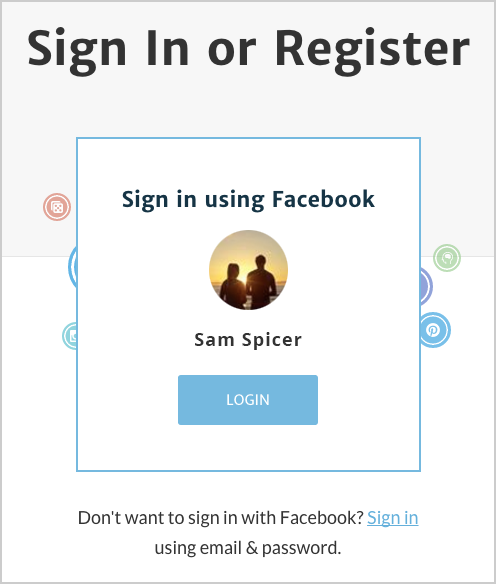 This will allow all visitors to your Facebook page to see and be able to sign-up for your loyalty program. Under Tab image, select an image you would like your customers to share when they share your rewards tab. 2. Under Share Title: Name what you would like your title to say when your customers to share your Facebook tab. 3. Under Share Description: Enter what you would like your description to say when your customers to share your Facebook tab. When a customer lands on your Facebook Page, they will see a Facebook tab along your Facebook page nav bar. From here, your customers can join your loyalty program, log in to check their loyalty balance and unlocked rewards.